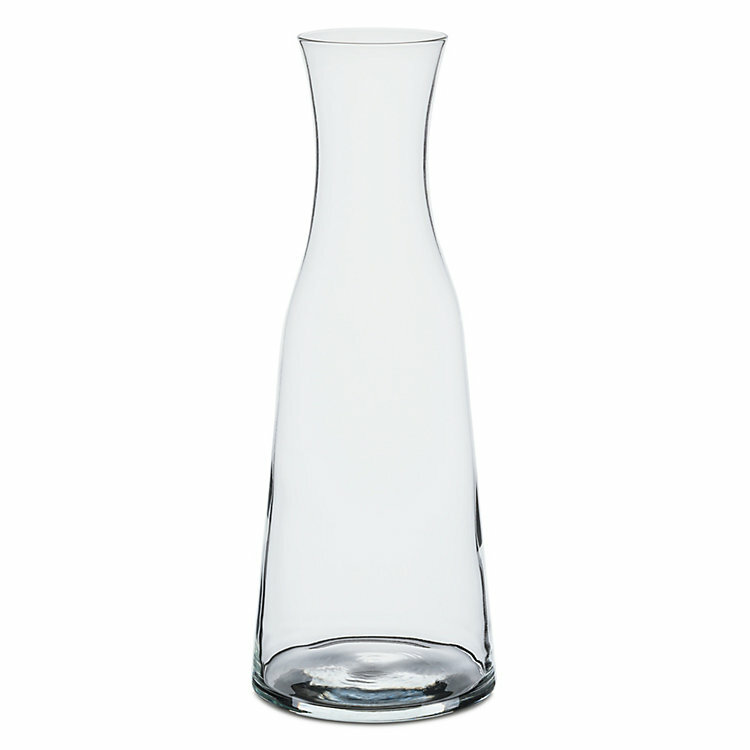 A simple carafe made of machine-molded glass, manufactured in Italy. Note: Machine-molded glasses, just like glasses made of pressed glass, are suitable for use in the dishwasher (even this carafe if the height and depth of your machine allow it). Volume 1 l. Height 28 cm, Ø 10.5 cm. Weight 450 g.